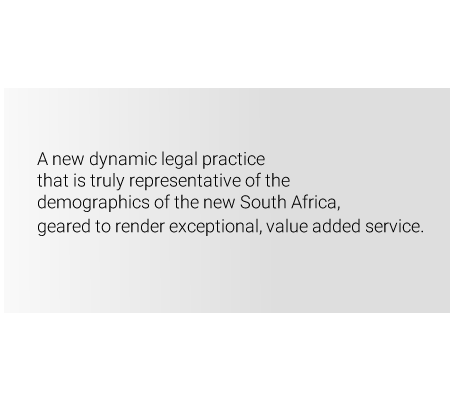 We placed our faith in the future of South Africa, united by our common belief in the need for a dynamic and specialized legal practice offering service excellence, focus and commitment to our clients. We realize the present, have learned from the past and are prepared for the future. We believe that our strength in this field lies in the creative and constructive approach which we adopt in resolving labour disputes. This area of practice has been included in our specialized areas and creativity to find appropriate solutions to the challenges that our client’s face. At Ramulifho Inc Attorneys we understand and appreciate the value of immovable property as an integral part of an organization’s commercial interests or as an individual’s most prized possession-their home.